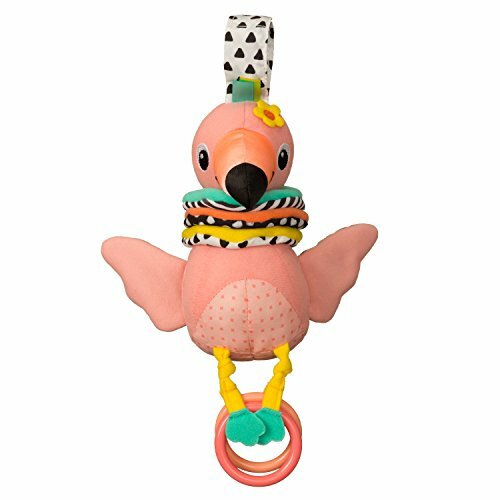 Entertain little ones at home or on the go with this huggable, tug gable musical flamingo. The Hug & Tug Musical flamingo is easy to hang from car seats or strollers. Just pull on her rings to stretch out her colorful neck to its full length. Then, listen to the flamingo sing her sweet lullaby as she slowly climbs up again.